We are all bored by boring, plain Facebook pages, and you should know that if you want your page to get the publicity you need for boosting your business, you need to find yourself a solution that sets you apart from all the other restaurant owners. 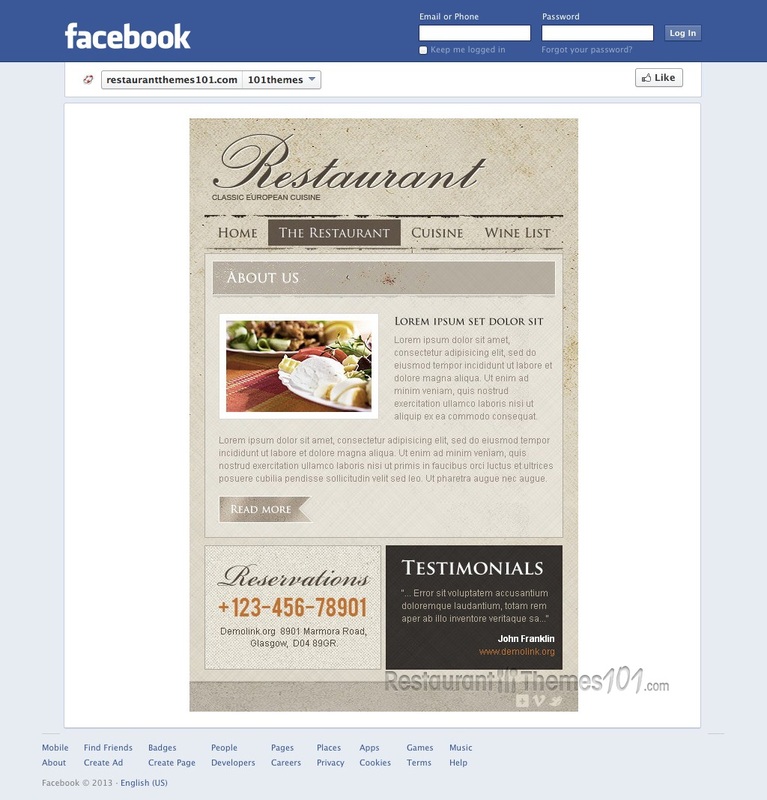 Template Monster presents Restaurant Classic 2, a great looking Facebook restaurant page template created by Mercury. 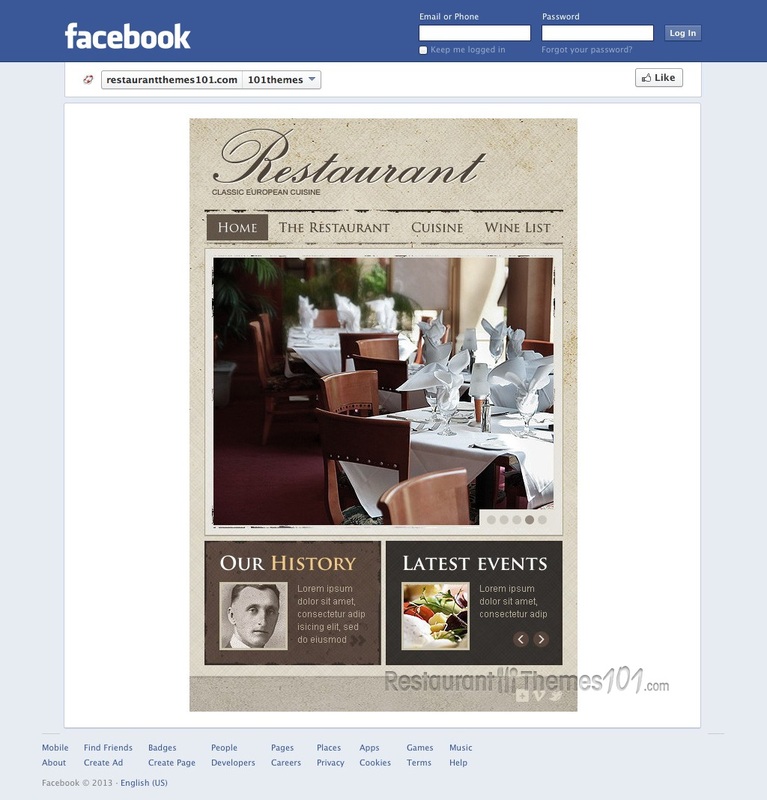 Once you see how amazing this template looks, you will forget all about the plain Facebook pages, and wonder how you ever thought such a boring page could ever work for you and your amazing restaurant. 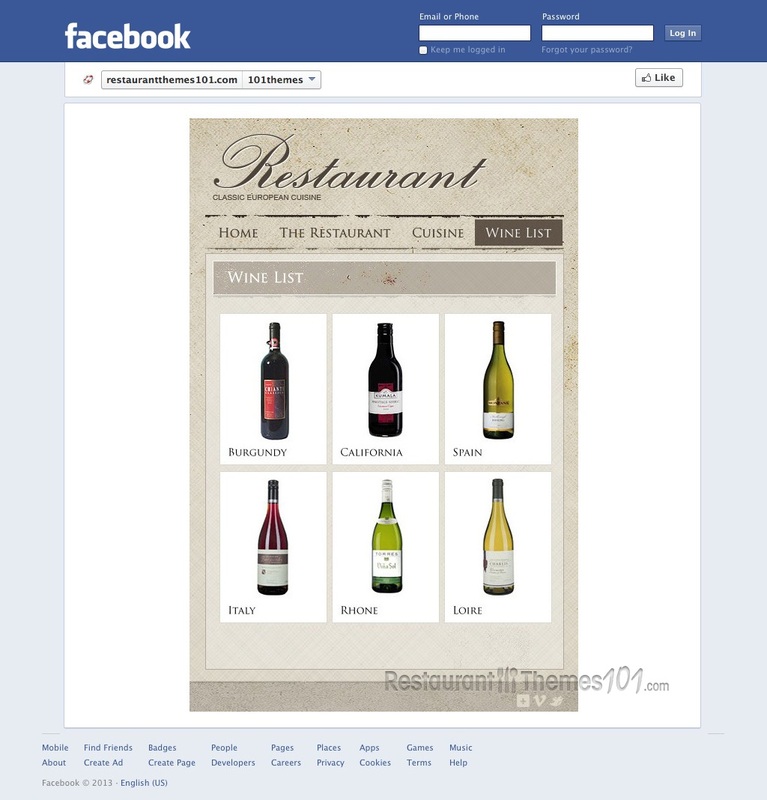 Restaurant Classic 2 has many great options and features, and a lot of content space, it will make your Facebook page look like a miniature version of a full website. The colors of this template are elegant and classy with several shades of brown and gray, followed by nice patterns and details. The front page features a slider which is a perfect place for showcasing photos of your beautiful restaurant, or photos of your delicious food. Your guest’s attention will be right there on this slider, so make sure you place your best photos here. There are two content boxes right under this big slider and this is where you can present your restaurant’s history to your guests, and add a nice photo to the introduction. You can also feature your latest news here, they will be presented in another nice slider form, saving space but still showcasing all that matters. The menu has its own section, and so does your wine list so you can be sure everything is nicely organized. If you hover the “restaurant” section with your cursor, you will see a drop down menu appearing, and this means only one: tons of content space! Make a gallery with fantastic photos, introduce your chef to your guests, tell them all about the services you provide, announce upcoming events or post photos of previous ones and brag how much fun everyone has at your place, show nice testimonials of your satisfied customers: it’s all possible with this template! 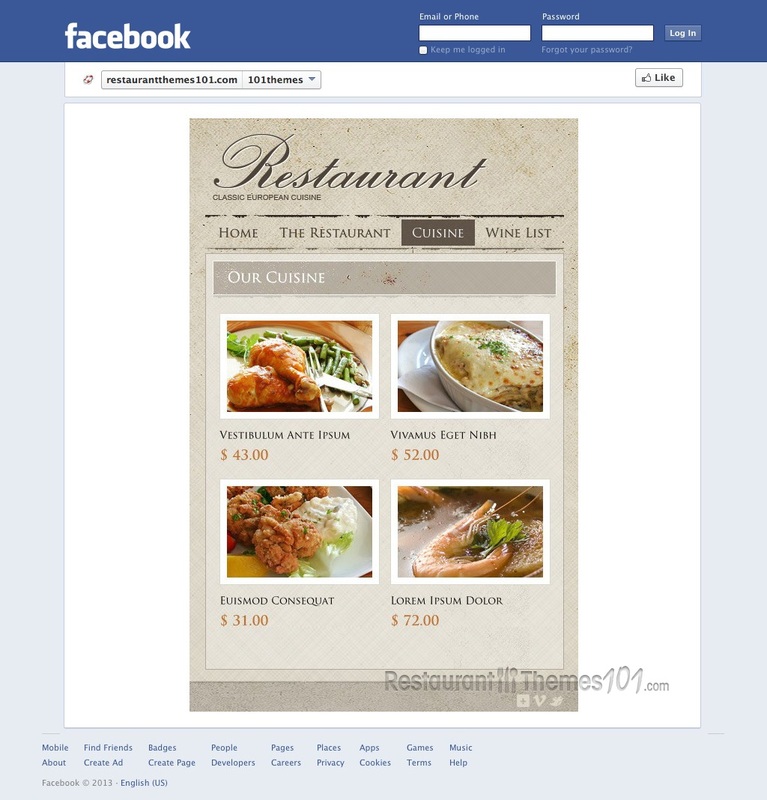 Besides this Facebook page template you can buy Restaurant Classic 2 also as a Joomla template.